I am often asked how we make travel work. Here is what I say, and honestly, I cannot say these things enough. First, please learn from my dumb. I sincerely hope my own experience can prevent any undue pain in your own life. Know that these words come from every misstep, impatient move, miscommunication, inconsiderate choice and completely unnecessary fight I instigated. And because I am so slow, it was only recently that I got it. Where it happened will stay with me forever. 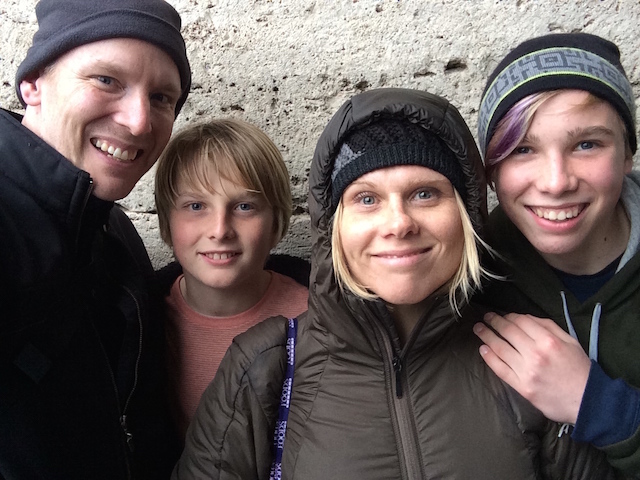 We were standing on Rome’s Palatine Hill. It was an unusually warm late November day. Instead of looking at the amazing Roman structures, Dave and I only notice our anger. We stood shouting at each other while boys slowly backed farther and farther away. I am sure they were bowing their heads, rolling their eyes, and saying, “can you believe those crazy loud people? I wish they would stop.” Consumed, I actually did not see the boy backing away. Instead, I was transfixed with my fierce rage. I was screaming, “Dave, shut up! Stop it!” He was mad at me for something I cannot even remember now. Isn’t that how it often goes? And somehow in that utterly consuming moment I stopped myself. I started connecting the dots. And in my mind I said, “Beth, come on. Stop. Think. You are in freaking Rome! 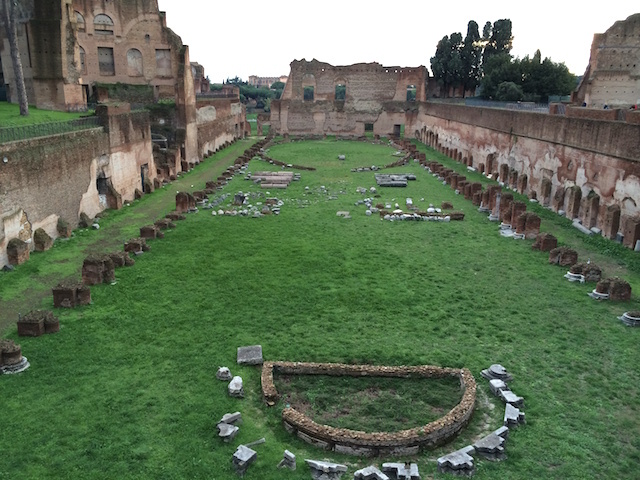 You are standing on Palatine Hill. You are with your family. You are with Dave.” My lovely and controlled thoughts are not as glorious as I make them sound. Nevertheless, they were there. The clicks and connections continued. And as we stood on the birthplace of Western Civilization, I got it. Life does not escape any of us. And somehow the simple knowledge that life-continues-no-matter-what moved me past my rage. Dave and I were looking down here when we were having our epic fight. Staring at Dave, and listening to him yell, I began seeing every single trip we had ever taken together. 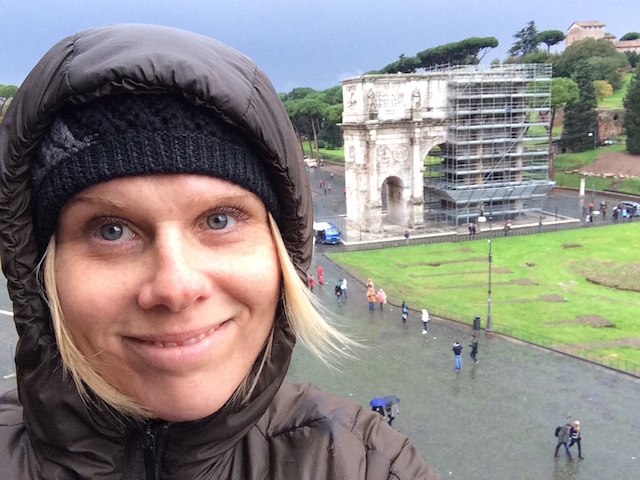 On Palatine Hill, he was mad, and I understood. I shut up. I stood motionless. And as remembered all of our travels, I also saw our home life. It was all making sense. I wanted Dave to see it too, and that is when I blurted out, “Dave, stop saying that we cannot travel anymore! Stop saying you will not travel with me! We will fight here! We will fight in Moab! We will fight in Hawaii! We will fight at home. It is not the trip. When we are mad at each other, we fight. The end. And I love you because you fight for me.” Ah-ha, it is not the trip, or even the place. It is the “us.” It is not what we do; it is how we do it. I am still crossing my fingers, but our travel has never been the same. My advice continues, and if I can save you any discomfort now, especially while traveling, please remember this. This is your trip, not mine, or anyone else’s. It is not what you do; it is how you do it. Remember that every personality is different. Do the things you like to do. Do not stress about making your trip perfect. If you are traveling with other people, remember their needs will be different. They always are. Communicate and compromise. Do not assume — no matter what. This is a big one. It is also what I like to call it-is-too-late-to-do-anything-about-it-but-nevertheless-I-am-still-going-to-punish-you backend guilt. Instead, remember to measure expectations ahead of time. People love knowing what to expect, especially when traveling to a new and unexpected place. Bottom line is this. We are not mind readers, especially under the duress of jetlag or a new culture. Ask when you need to ask. Be patient. Forgive yourself and forgive your fellow travelers. I promise that forgiveness will move you quickly past the uncomfortable moments. Mostly, remember this. Even when you are far, far away, and even when you are on your fantasy vacation trip of a lifetime, lower your expectations. Seriously, lower them right now! Do not fall apart when we do not live up. I promise you we won’t. You will fight. You will get hungry. You will be tired, and I will have PMS. No matter what, we will let you down. It is ok. Seriously, do not let the humanness of humans ruin your trip. Don’t. Instead, make these unexpected moments delightful, the fights on Palatine Hill an epic tale of love and learning, getting lost in Kowloon a hilarious and most bizarre memory. Laugh. Breathe it in and enjoy. PS And we loved Rome so much we went back a year later.